Inaugural function of the OIL & GAS CONSERVATION MONTH on 16th Jan’ 2019 at 10.30 a.m. at Yashwantrao Chavan Centre, Opp. Mantralaya, Mumbai. It is a national programme initiated by the Government of India for energy security, sustainable development and environment protection of our country. Government of India for energy security, sustainable development and environment protection of our country.  The ultimate goal of the program is to curb wasteful expenditure on fossil fuel, reduce the growing burden on foreign exchequer and protect the environment from the adverse effect of Green House Gases emanating from burning of fossil fuels.  India’s commitment in the recent COP21 meeting held in Paris has been widely recognized by the world leaders.  Petroleum Conservation Research Association (PCRA), under the aegis of Ministry of Petroleum and Natural Gas and State Level coordinators of Oil Industry take up various initiatives with the active involvement and support from the concerned State Government to spread mass awareness.  With the same earnest सक्षम (संरक्षण क्षमता महोत्सव) 2019 is being organized during 16th January to 15 th February, 2019, with a tagline ‘ ईंधन संरक्षण की ज़िम्मेदारी, जन गण की भागीदारी’ (Indhan Sanrakshan Kee Zimedaari, Jan Gan Kee Bhagidaari) all over the country. 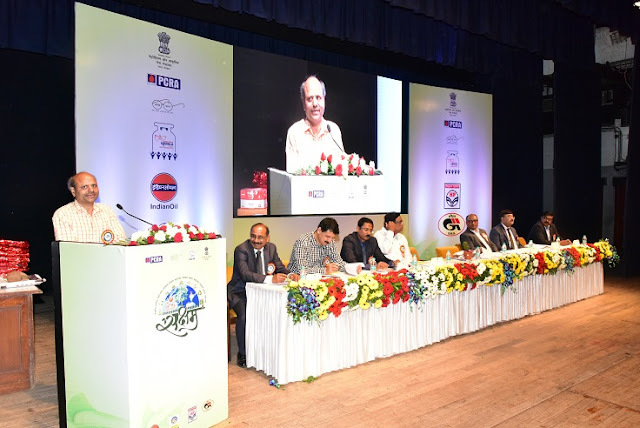 As part of this, Oil Industry in Maharashtra organized an Inaugural function on 16 th January 2019 at 10.30 a.m. in Yashwantrao Chavan Centre at Mumbai.  Shri B.B. Patil, Deputy Secretary, Govt. Of Maharashtra was the Chief Guest for the Inaugural function.  The activities that being organized during this awareness month are, Campaigns on Fuel Conservation in Schools/Colleges, Campaigns on Fuel Conservation through Technical Meets / Workshops, Group Talk at RWAs, Campaigns for Clubs/Societies/NGOs/Groups etc, Fuel Efficient Driving Contest, Publications/Talk in Media, etc.  During the function SKIT on ‘Save Oil’ was played by students of Colaba Municipal School. Also some of the selective students and teachers would be felicitated for their extra ordinary performance in various PCRA related Activities conducted during year 2018 .  The program was attended by senior public sector oil company officials, Dealers and Distributors and school children. 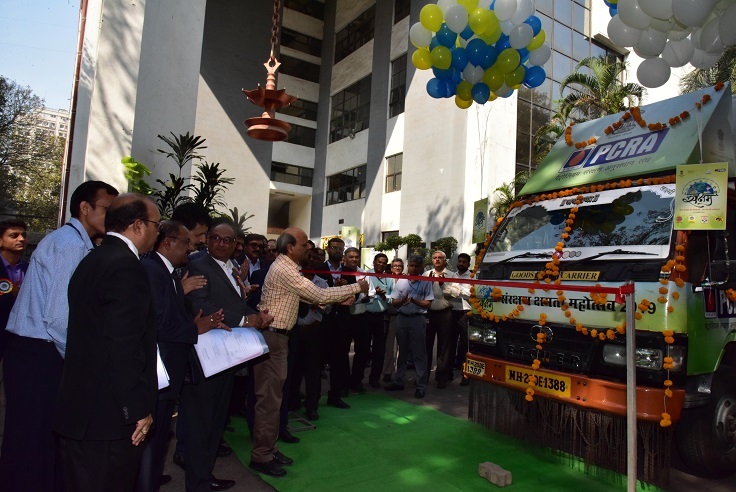  Flagging off of PCRA van and release of balloons was done at the beginning of the program by Chief Guest.